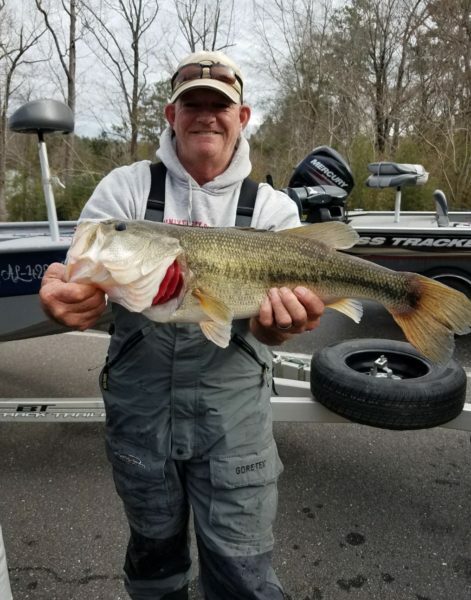 Lake Jordan is fishing extremely tough for the time of year. 5 out of 11 club members did not weigh a fish. Bryan Selix had big bag of 6.55 with just a four fish limit. Mark Syck was second for the second time in two months with 5.64. The fish were caught with small plastics in clearer water. Fishing was good for some. The middle pond has been the sight for big fish over several of the last years in the club, and this year may be the same. 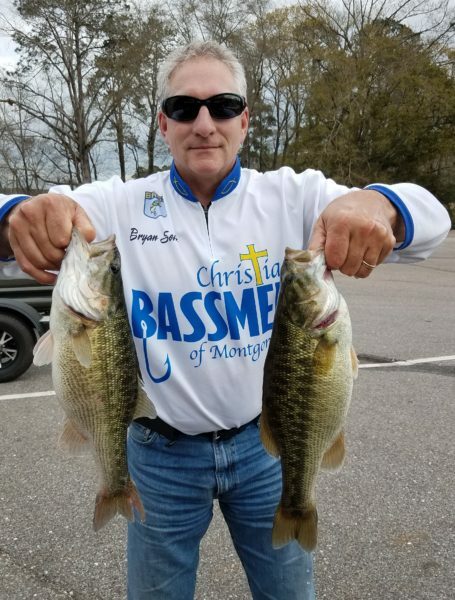 Chris Cofty had big bag of 15.04 and a big fish of 5.4. Mark Syck was second and had big fish of 5.84. The fish were caught with a jig, spinner bait and swim jig. Chris Cofty, 1st place and 5.4 big fish.